This weekend, 2-3 March 2013, the 47th Annual Grant Seafood Festival will be held in Grant, Florida. Grant is one-half of the greater Grant-Valkaria metropolis, which has a population of 3,810 according to the 2010 US census. Festival planners anticipate 35,000-40,000 people during the two-day event. Beel is betting the local hotels will be full! The festival is run entirely by volunteers and raises money for a scholarship fund and other local projects. In 2011, $45,000 in scholarship money was raised. Admission and parking are free at the Grant Seafood Festival. Woo hoo, says Beel! Unfortunately, overnight parking is not allowed so, Beel guesses, you can’t take a cab home if you consume too much seafood washing-down liquid. Duh! Refreshing ice-cold, seafood-washing down liquid. 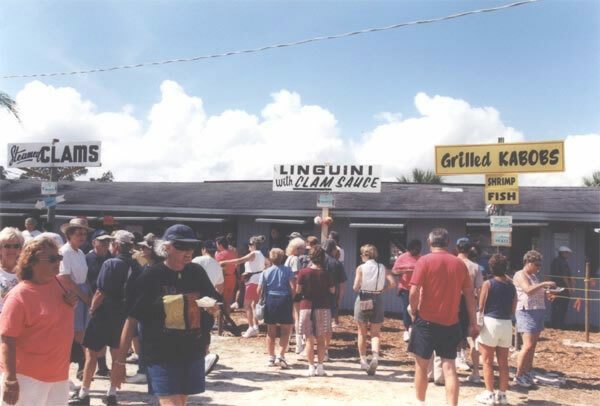 Food booths sell a variety of seafoods: including fried shrimp, fried scallops, fried oysters, fried clam strips (beginning to sound like Bubba in Forest Gump), deviled crab, conch fritters, lobster bisque, and even fish (tuna kabobs), among other items. The Grant Seafood Festival features seafood! Budweiser is an official sponsor of the event. Beel will let you figure out what that means. 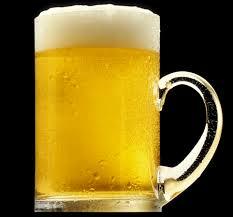 Budweiser is among Beel’s top 200 favorite beers. It is not among Beel’s top 100 beers. Beel will let you do the math. Over 100 craftsy vendors will be exhibiting their wares. Presumably attempting to sell them as well. Commerative T-shirts will be available and there will be non-stop live entertainment, except during the times the various bands aren’t playing. Festival hours are 9:00 AM – 7:00 PM on Saturday, and 9:00 AM – 5:00 PM on Sunday. The festival website is informative, the Facebook is not. 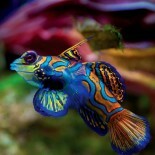 This entry was posted on February 24, 2013 by denstormer in Fish Festivals and tagged fish festival, USA.